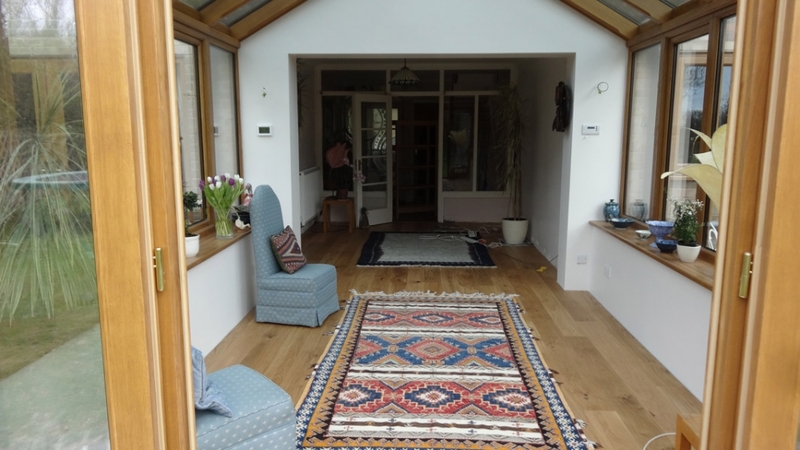 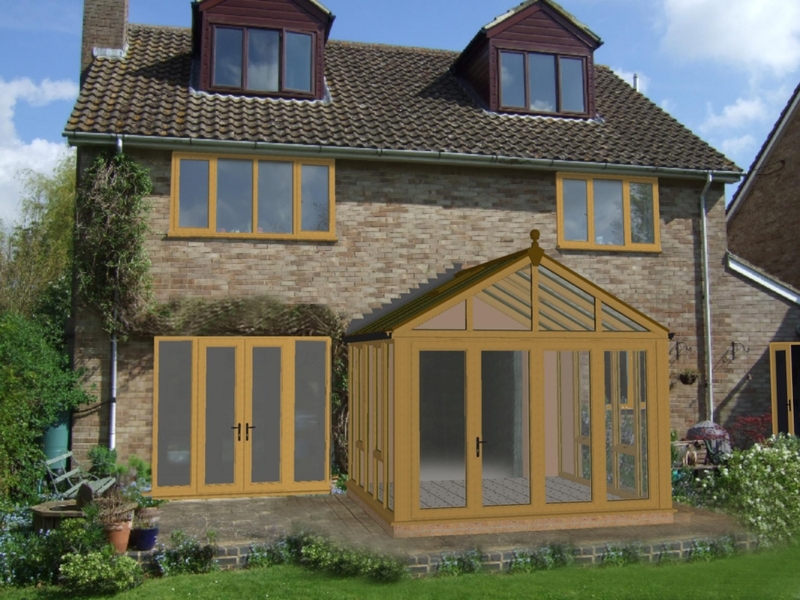 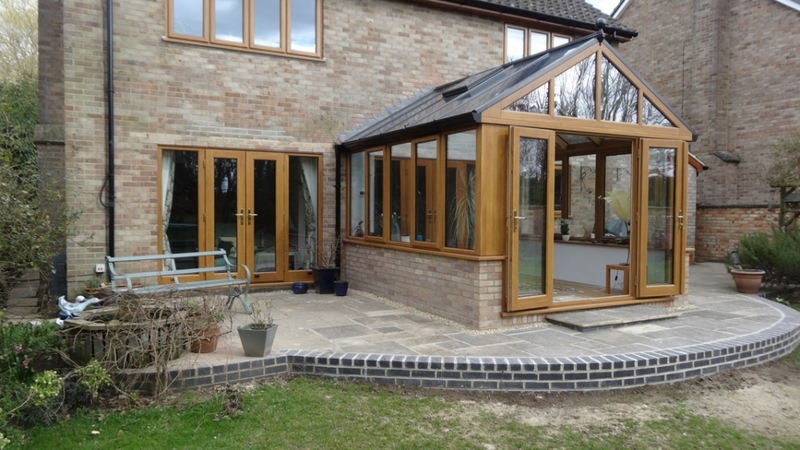 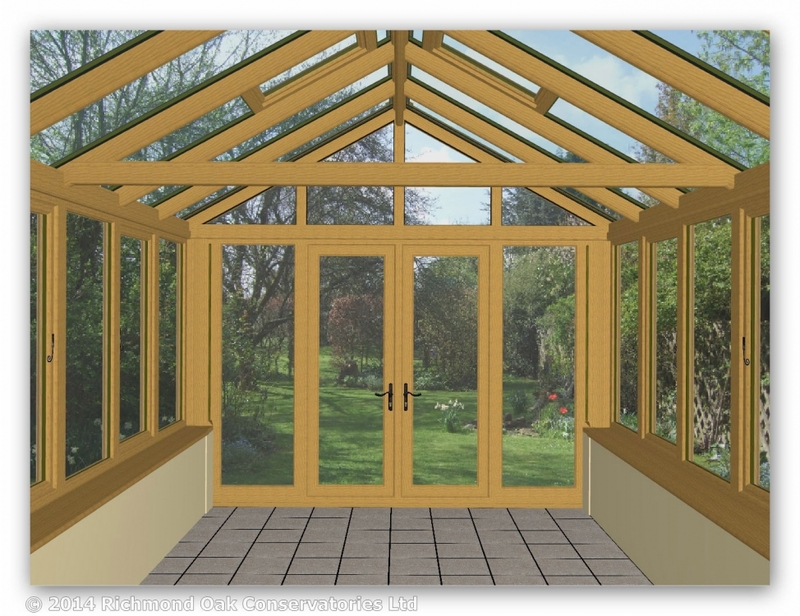 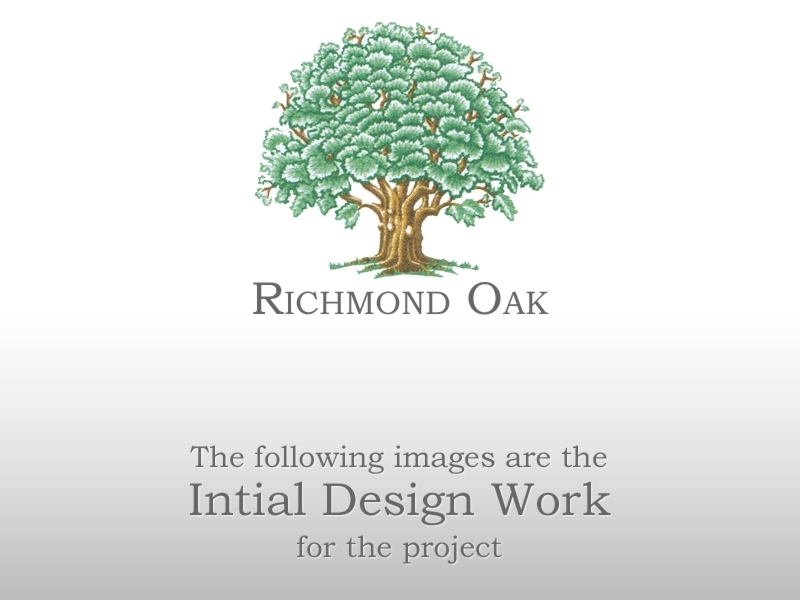 This Traditional Oak Conservatory went through several stages of design including reviewing bifold door options but Mr & Mrs Boughton decided on traditional hinged French Doors for the final design. 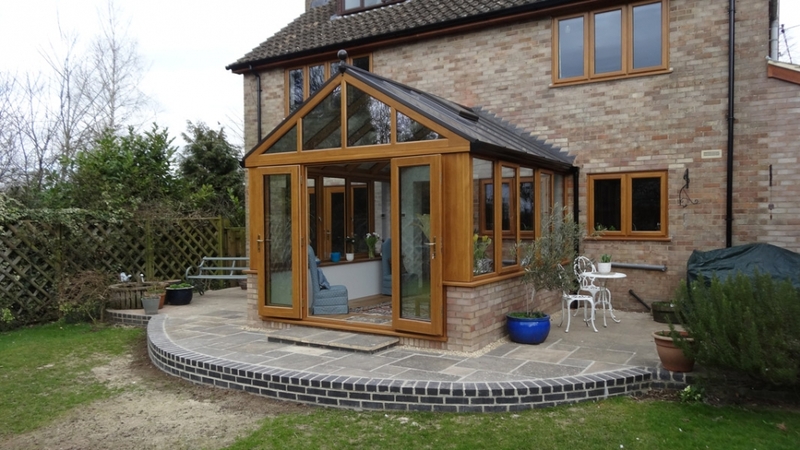 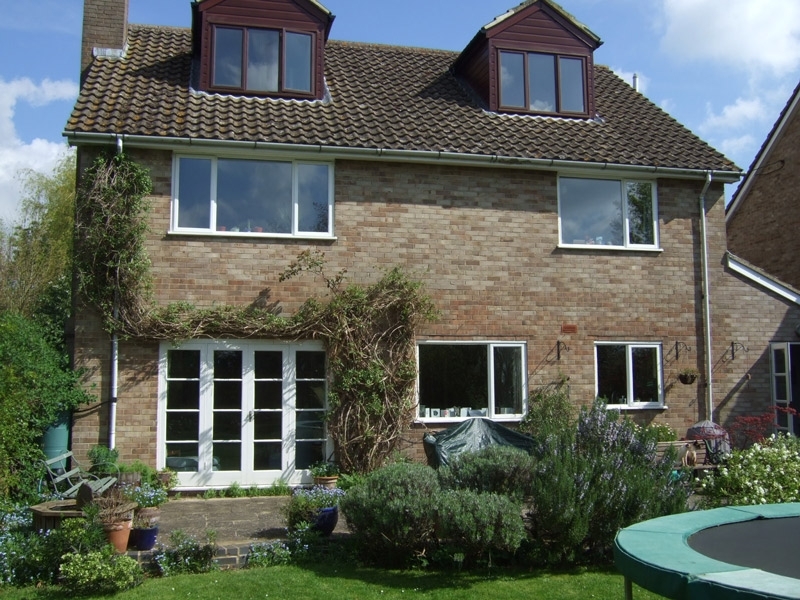 Whilst, working on the conservatory project we reviewed the option to change the windows, fascia & gutter, to completely overhall the back of the house taking it from a very typical 1970’s design to a much more interesting elevation with all matching oak frames windows and conservatory. 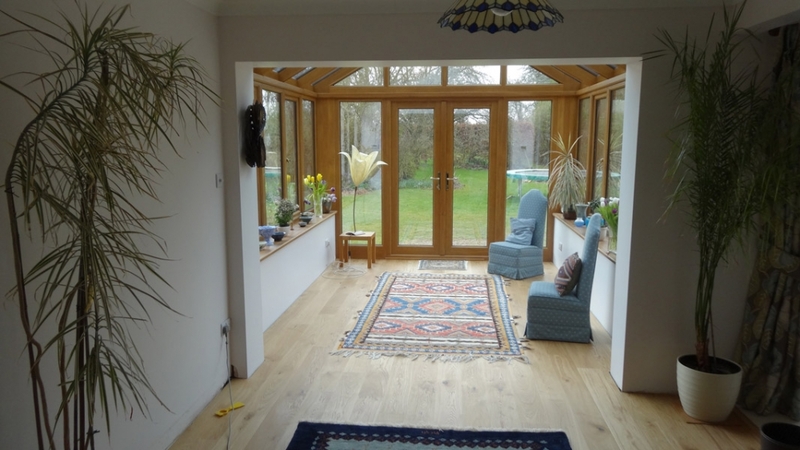 The design featured open plan with the dining room and we dealt with the building regs to do so.